How you go about managing injuries at home, whether it be if you’ve suffered a sprained ankle, sprained wrist, twisted knee or elbow, pulled or a muscle or are suffering from back pain in the first 24/48 hours may significantly affect how quickly you will recover. 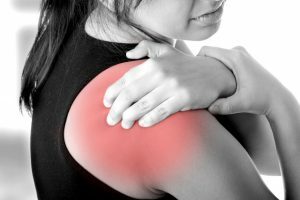 Managing your injuries can be done at home, read below to find out how to deal with a soft tissue injury. The majority of us all have had those times when we’ve suffered a sprained ankle, twisted knee, suffered sudden shoulder pain, banged an elbow or pulled a muscle. Acute injuries occur suddenly often due to a trip, fall or collision. How well we are able to manage the days following such injuries often affects our short and long term recovery. The most popular and traditional approach used to reduce and control acute soft tissue inflammation. Why rest after a muscle injury? As simple as it sounds, the injured part of the body must be protected from further injury and rested to prevent any further damage to the surrounding soft tissues. Any movements that cause pain and discomfort should be avoided. Protection and rest can be as simple as not moving the injured body part and keeping the weight off the injured limb. With a leg injury crutches can be used to avoid weight bearing and movement. Slings and wrist supports can be applied to arm injuries. 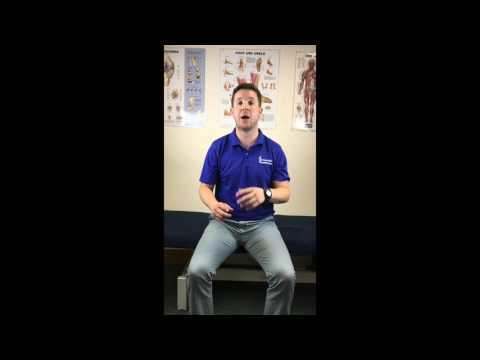 How long should I rest after a soft tissue injury? Rest should start immediately after an injury has occurred. The amount of time that a soft tissue injury should be protected and rested for is completely dependent upon the individual, the actual injury itself and the soft tissue involved. This should be guided by advice from a healthcare professional. Any activity that is painful to the affected tissue should be avoided for the first 48 hours after injury. Remember – the more movement we do, the more we injure the soft tissue. Most chronic soft tissue problems stem from re injury within the first few days of an original injury. Ice is used to cool an injury and allows heat to dissipate away from the injured site; this has numerous benefits in aiding recovery. It causes blood vessels to constrict, preventing too much blood reaching the injured site as well as providing pain relief by inhibiting pain receptors in the skin. It also decreases tissue metabolism and reduces further cell damage. Ice can be used in many forms. Usually, a bag of crushed ice (ice cubes smashed up in a tea towel) or a bag of frozen vegetables will suffice. Ensure you NEVER place ice directly onto the skin as this may cause an ice burn – put the ice into a food bag, pillow case or thin tea towel then place onto the skin. Re-useable cold packs that live in the freezer can also be used but be aware of the above and skin burns. Freeze sprays are also often used but do not have long lasting effects. When should I use an ice pack? Immediately after the injury has occurred. There is no given consensus on how long ice should be left in place on an injury. However it is safe to apply ice for up to 10 minutes on any body part and repeatable every hour. This is acceptable for up to 3 days after which guidance from a healthcare professional should be sought if the swelling and pain have not decreased and the injury has not started to recover. Inflammation causes a change in the fine fluid balance in the tissues and as a result oedema is leaked from blood vessels into and around the injured tissues. This increases the pressure in the spaces in the joints and surrounding muscles and can lead to restricted movement and can also be a source of pain. Managing injuries with compression and elevation act to restore these pressure gradients within injured tissues. Evidence suggests that it is more effective to use both methods rather than one or the other. Compression minimises the amount of fluid leaked from the blood vessels and can also be used to force fluid away from the injured area. Elevation reduces extra blood flow and swelling. How and when should this be done? Elasticated tubigrip is commonly used for compression, whilst compressive garments are also sometimes used depending upon the injured body part. Elevation can be achieved by simply placing the injured body part above the heart. For example, lying flat on the back with an injured ankle propped up on pillows or supporting an injured wrist on several pillows. Elevation should be done immediately after the injury has occurred. The acronym ‘HARMM’ is good to remember for things that can negatively influence and delay the healing process for acute soft tissue injury management. For 72 hours after a soft tissue injury it is not advisable to take painkillers containing anti inflammatories as they can interfere with the tissues natural healing mechanism. A simple painkiller is recommended. If the inflammation is still present after 96 hours an anti inflammatory medication is acceptable. If you are already taking other medications or are allergic to any medication please liaise with your GP before taking pain killers or anti inflammatories. Having examined how to effectively treat soft tissue injuries when they occur, now we take a look at common specific injuries, their causes and how you can managing injuries at home is possible. Sprains are one of the most common injuries that affect the body; a sprain indicates damage specific to ligaments. Ligaments are strong bands of fibrous tissue with their main role to stabilise a joint by connecting the adjoining bones. Sprains commonly occur through injury and usually involve an over stretching of a ligament leading to a tear (of varying degrees) to the ligament fibres. 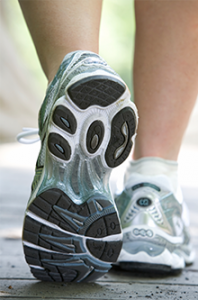 Sprains can occur all over the body, including the knee, wrist and thumb, but perhaps most commonly, at the ankle. Bruising can sometimes take a while to appear and can even track down towards the sole of the foot and the toes – this is quite normal as swelling/bruising often follows gravity and tracks down the lower areas of the foot. It is also normal for there to be more swelling at the end of the day than in the morning. Less severe ankle sprains can usually be managed at home. PRICE therapy is integral – Protection, Rest, Ice, Compression and Elevation, as previously discussed on the ‘Acute Soft Tissue Injury Management’ page, whilst avoiding HARMM is also important for the first 72-96 hours post injury – i.e. Heat, Alcohol, Running and Massage. For pain relief, over the counter medication such as paracetamol is warranted. Anti-inflammatories or NSAIDs such as Ibuprofen should only be used 72-96 hours after the injury has occurred, as they can have a detrimental effect on the quality of tissue repair and healing. However, it is important to liaise with your GP if you are unsure about what medications to take or if you have any allergies to certain medication. 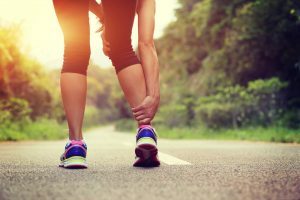 Gentle movement is warranted as soon as you are able to do so following an ankle sprain, as evidence indicates that gentle movement after injury leads to quicker and better healing. If you are unsure, consult a healthcare professional who is experienced in managing injuries as such. Physiotherapy has been evidenced time and time again to help in the return to full fitness. After the initial rest and elevation stage treatment can include massage and soft tissue therapy, together with mobility and balance rehabilitation, strengthening and stretching exercises. 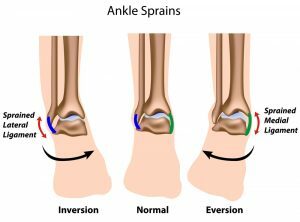 Prevention of further ankle sprains is an important factor to consider. As already mentioned, there is up to a 34% chance of re-spraining an ankle. Taping and bracing of an ankle is often utilised particularly for those involved in sports recreationally or competitively, although this is often considered a short term rather than long term fix. Ensuring the correct footwear and being aware of your environment, i.e. uneven ground, steps/curbs are important but a good strength and conditioning rehabilitation programme is the most important long term solution to help reduce the risk of re-spraining an ankle. Talk to your physiotherapist to discuss this further; as everyone is different (and ankle sprains can vary hugely) a general ‘over-the-counter’ programme may not consider all aspects of rehabilitation relevant to you. Things to consider here involve strengthening muscle groups, regaining full mobility of the ankle and stability and balance exercises. When to see a healthcare professional? Grade 1 – A few ligament fibres are torn, mild stretching of ligament and minor bruising – Full recovery usually takes up to 3 weeks and professional intervention is seldom needed if the PRICE and HARMM rules are observed for the first 5 days. Grade 2 – Approximately half the ligament fibres are torn resulting in partial rupture, moderate stretching and bruising, but joint stability remains intact. If the pain and swelling are still severe after 5 days a professional opinion should be sought. Grade 3 – A complete rupture of the ligament resulting in an unstable joint, severe bruising and instability. A trip to A&E or a consultant orthopaedic surgeon is advised. Pain and discomfort from soft tissues injuries doesn’t always occur as a result of an incident, accident or activity. Injuries and issues can occur from the positioning of our bodies during everyday life due to the environment around us. Back pain is the most common condition that musculoskeletal physiotherapists treat, yet it is a condition many suffers can effectively self manage or even avoid. Related to back pain is neck and shoulder stiffness and headaches, especially if experienced at work. 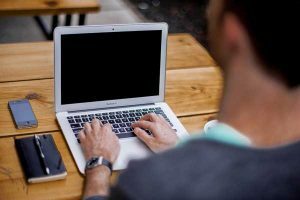 Often the cause of these problems can be traced directly to an individual’s working environment. The Health and Safety Executive (HSE) defines ergonomics as “a science concerned with the ‘fit’ between people and their work. It puts people first, taking account of their capabilities and limitations. Ergonomics aims to make sure that tasks, equipment, information and the environment fit each worker”. From a physiotherapy perspective, this allows us to concentrate on the equipment that is used to perform the task at hand and your job – and by equipment, this means you and your body! As more and more of our time is spent in front of computers, this comes hand in hand with poor posture. Day after day this will eventually begin to take its toll on the body and lead to chronic problems; muscle imbalance, poor flexibility, stiff, weak and inflexible muscles, etc. Poor ergonomics can reduce performance and productivity, whilst increase the risk of potential injuries and ill health – poor postures at work are highly linked to a number of painful conditions, including neck, shoulder and lower back pain and repetitive stress injuries particularly to the wrist and forearms. Think about the following – try holding a bag of potatoes weighing approximately 8 pounds at arms length for your entire working day. You’re arm and shoulder would be painful, sore and tired a few hours in, let alone come the end of the day. Then repeat this day after day whilst at work. 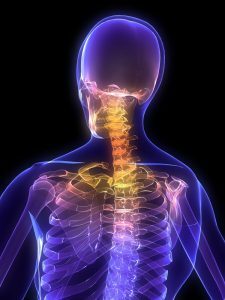 This is EXACTLY the same as what goes on at the neck – our heads weigh approximately 8 pounds and the majority of postures at desks are in a slumped position, the lower back curved up, the chin poking forwards and the shoulders rounded. This quickly leads to large amounts of stress on the Trapezius muscle (the muscle that connect the head to the shoulders) that gets chronically tight and sore, the Pectoral (chest) muscles shorten and get inflexible, whilst the muscles deep in the front of the neck and in the upper back get weak as they switch off and don’t get used. 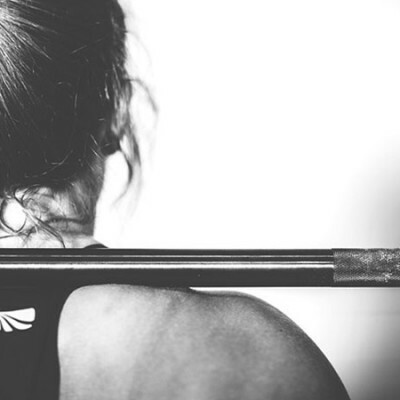 Poor lifting technique is also frequently to blame for ‘putting the back out’ – be it a new acute episode or a history of repeated tweaks. Usually an episode of lifting and twisting simultaneously is at fault, e.g. lifting a box from the floor, picking up children or reaching and twisting whilst cleaning the bath. Being aware of posture is one of the main ways to tackle this problem. Pilates and Physiotherapy can be helpful, including exercise prescription in the form of strengthening or stretching, soft tissue massage and joint mobilisation. However, going back to the workplace and adopting the same faulty positions as before WILL lead to problems recurring – it’s just a matter of when. Speak with your employer (usually there will be a Health and Safety member of staff who performs workstation assessments in your workplace) to discuss a workstation assessment – it may transpire that you need an appropriate chair, the desk may need to be higher or lower, a telephone hands-free kit may be more appropriate than a receiver, especially if you spend more than 40% of your day on the phone. Giving yourself cues is an effective way to assist with changing posture, as half the time we don’t realise the poor positions we adopt as they have become our norm. A good trick is to set an alarm on your computer to go off every half hour; a reminder to you about about your posture. In the car and for those who spend long hours driving, another good trick is to sit in a good postural position, adjust the seat and steering column if necessary and change your side and rear-view mirrors to reflect this position every time you check your mirrors – another cue to check your posture. As you can see, there are lots of simple and effective steps you can take towards managing injuries at home. If there is no improvement, however, if there is no improvement and chronic pains are starting to be felt in the neck, upper back, shoulders, etc, GP physiotherapists are highly experienced in managing injuries. You may have to undergo a thorough assessment to source the route of your problem and will be prescribed an individual treatment regime. The team at Harpenden Physiotherapy are committed to delivering personal and expert care to our patients to ensure that they are moving well and feeling better as swiftly as possible.